Created by legendary aircraft designer Ed Swearingen the Fairchild Metro was developed as a stretched version of Swearingen's Merlin II corporate turboprop and designed specifically to serve the regional airline market. Since its introduction, more than 1000 Metros and Merlins have been built, making the Metro and its derivatives the most popular regional aircraft in the industry. 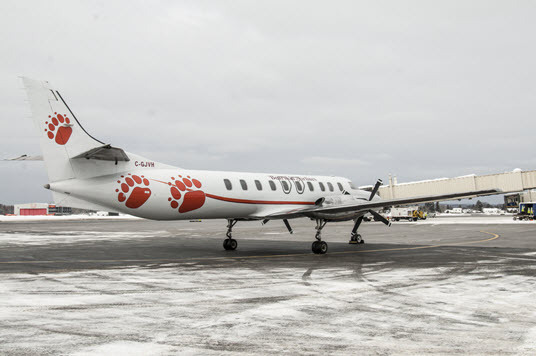 Bearskin operates just one aircraft type, the Fairchild Metroliner. Equipped with twin turbine engines, these 19 passenger, pressurized aircraft offer exceptional speed and range.